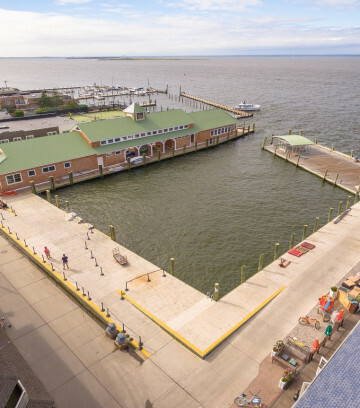 The two phase reconstruction project of the Village of Ocean Beach Ferry Terminal located on Fire Island. A project to convert a portion of Centereach Park to a 3,600 S.F. Youth Center and 8,400 S.F. Parks Administration Building with a beautiful "Adirondack" style design. 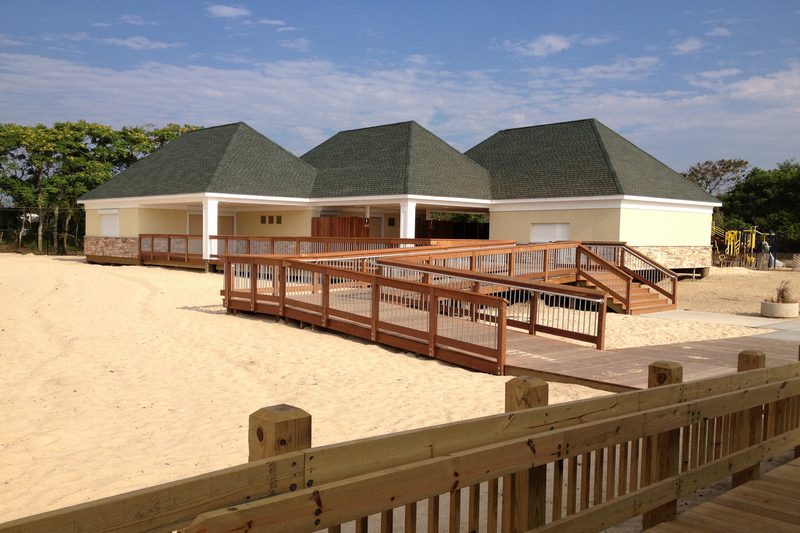 In response to the destruction of the existing comfort station at Islip Beach caused by Superstorm Sandy, LKMA prepared expedited contract plans for a modular, pre-cast concrete comfort station and concessions building on a pile foundation so that the beach could be re-opened for the summer season. The new facility includes handicapped bathrooms, showers and ramps and is equipped with an energy efficient lighting system. Ramps, railings, and boardwalks are made from a dense tropical hardwood. The cost of the project was $1.76 million, with the majority of funding to come from FEMA. LKMA also provided construction oversight and assisted the Town with their efforts to received reimbursement for the project from FEMA. This $2.5 million dollar project included survey, permitting, design and construction monitoring to construct a 4,100 square foot Structural Insulated Panel (SIP) building. 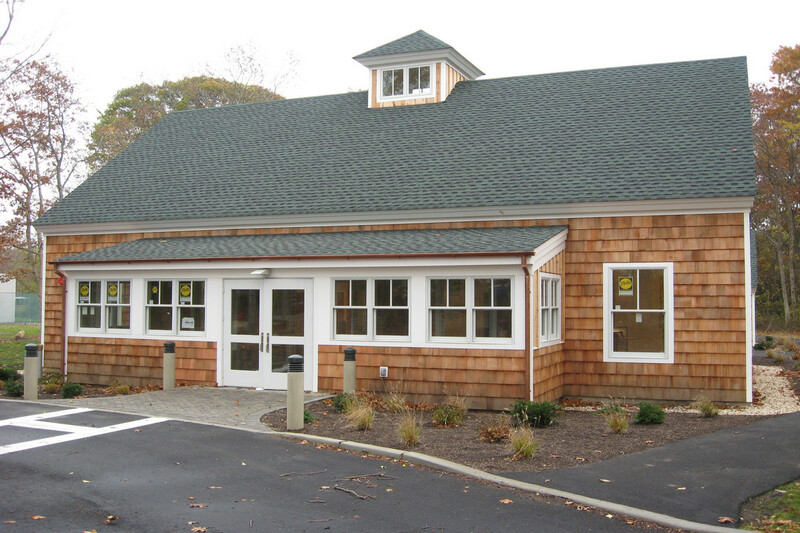 It was constructed adjacent to the existing elementary school in the community. The building utilizes a state-of-the-art HVAC system to minimize operating expenses. The great room can function as a homework area as well a space to conduct Town Board/Community meetings. It is used by students before and after school hours and also used by the Town of East Hampton Parks Department for athletic programs. 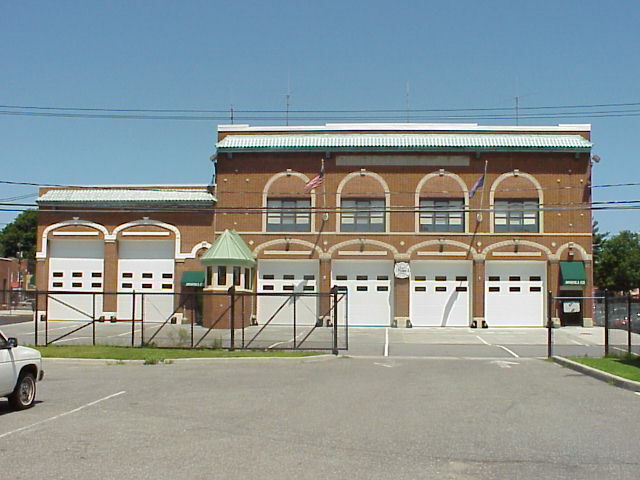 LKMA provided design and construction monitoring services for the complete rehabilitation of a two-story 18,000 SF firehouse and 1,900 SF expansion to house additional fire apparatus. 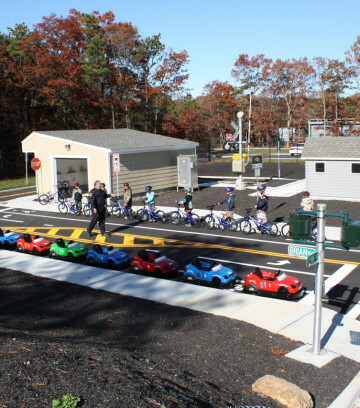 This $2.5 million dollar project involved close coordination with Village and Fire Officials and involved staged construction to maintain on-going firehouse operations. Key design elements included a complete renovation of the interior (e.g. walls, flooring, ceilings, asbestos removal), renovation of HVAC, electric and plumbing system, new roofing, windows, two kitchen areas, a “state-of-the-art” radio control room, sprinkler system and ADA compliance elements. A visual asbestos inspection of the structure was conducted and recommendations for additional courses of action were provided. 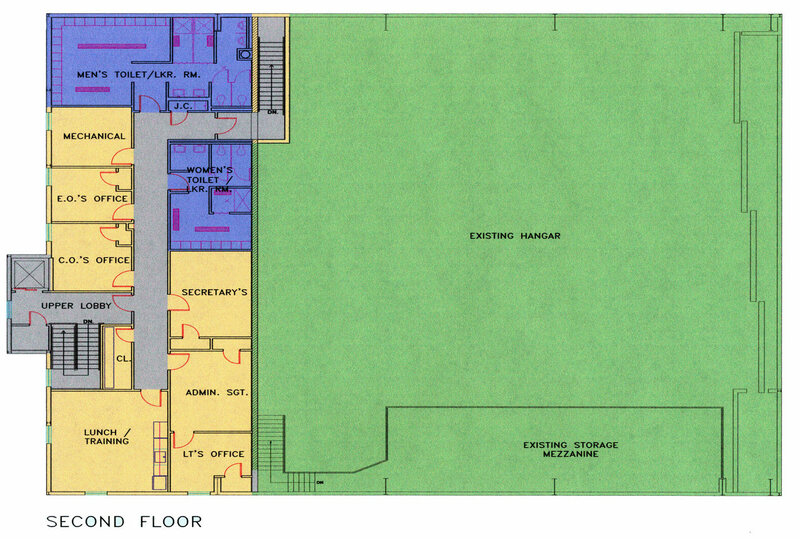 LKMA prepared construction drawings for the proposed “state-of-the art” Animal Shelter & Adoption Center for the Town of Brookhaven. 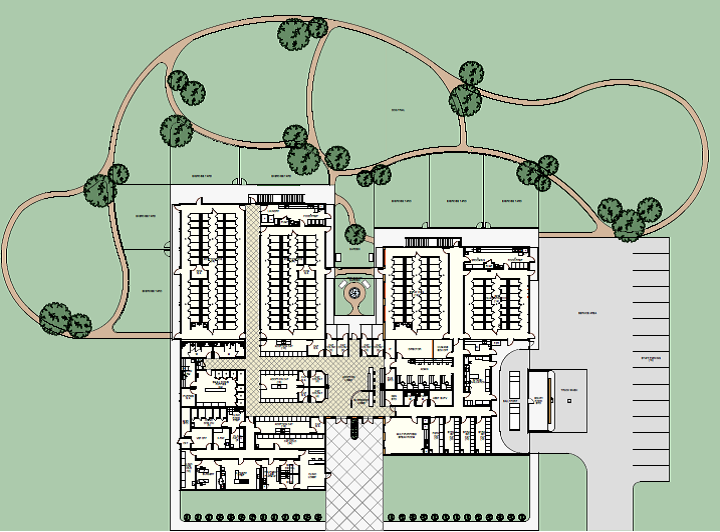 The 24,000 SF Animal Shelter is to be situated at the Medford Athletic Complex. 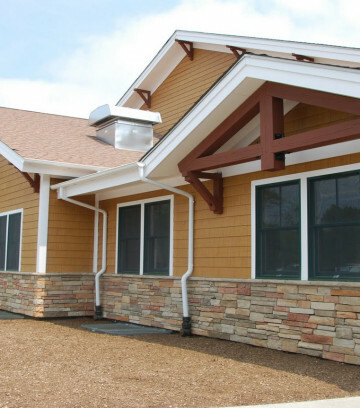 The design has been prepared in accordance with the Humane Society of the United States, United States Green Building Council (LEED Certification) and the New York State Building Code. The design team was comprised of LKMA, Design Learned and Jackson & Ryan Architects. The project requires advanced mechanical systems for proper ventilation and disease control. Natural lighting, sound control and public/animal accessibility were important architectural elements that needed to be considered. The new shelter will have the capacity to house 100 dogs and 200 cats, act as a shelter, adoption center and clinic (limited). Construction is awaiting funding approval ($9 million). The firm provided planning, design, and construction inspection services for this development project of a two-story, 5,400 SF Police patrol facility for aviation and crime scene bureaus. The project entailed the renovation and addition of interior building space to incorporate administrative offices, squad rooms, offices for pilots and aviation officers, paramedics facility, training areas, secured evidence storage and locker room, and employee locker rooms. Additional project elements included elevator design, provision for an emergency generator, HVAC system design and renovation of the hangar lighting system. LKMA prepared plans and specifications for the re-roofing of the community building within the Charles J. Fuschillo Park. 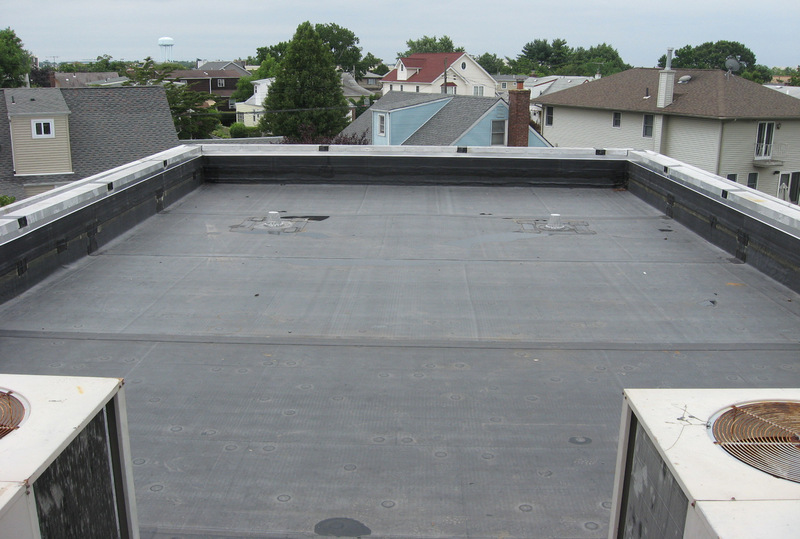 The scope of work included removal of all original 1960’s built-up flat roof areas, identity, and removal of asbestos containing materials, masonry restoration of counter flashing, replacement of original clearstory windows and interior restoration of the main lobby ceiling excessively damaged from extensive water penetration. The construction was carefully scheduled to allow for beneficial occupancy of portions of the building by the community during the day and on weekends. The Park also remained open to the public during the construction phase of the project. LKMA’s Senior Architect was responsible for the architectural design of this municipal project. 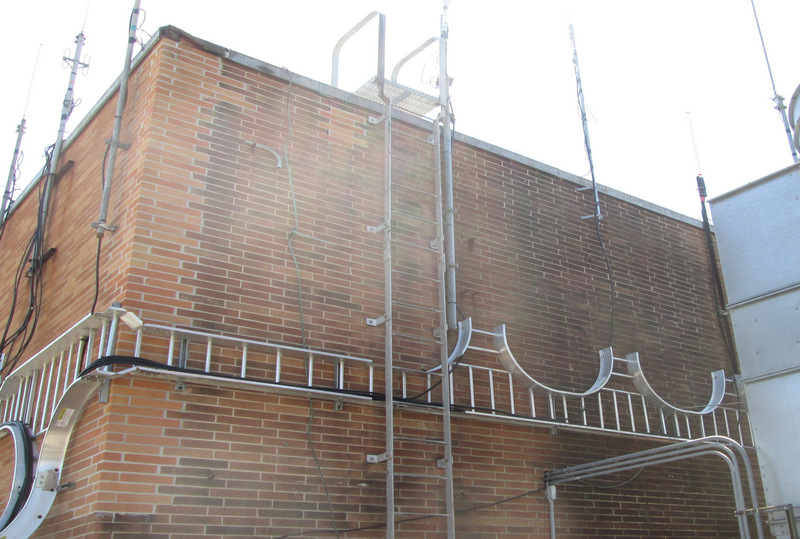 Key elements of this $400,000.00 capital project required architectural services for the masonry rehabilitation of the City Hall façade including brick replacement, pointing, soffit repairs, asbestos investigation, roof-top cable management and selective demolition.